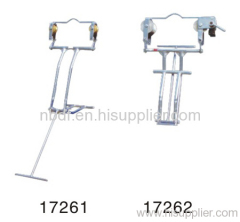 Aerial Space Bicycle is used to move on the transmission line and install accessories. 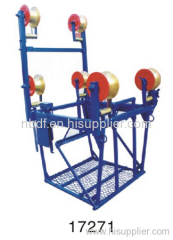 Space cart is used to install conductor attachments and inspect lines on 4 bundled conductor. 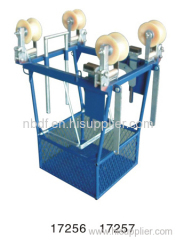 Inspection trolley or bicycle is used to install conductor attachments and inspect lines on 2 bundled conductor. It is used to install conductor attachments and inspect lines on single conductor. SFD1A is used for telecom lines. Group of Aerial Space Bicycles has been presented above, want more	Aerial Space Bicycles and Overhead Line inspection trolleys, Please Contact Us.